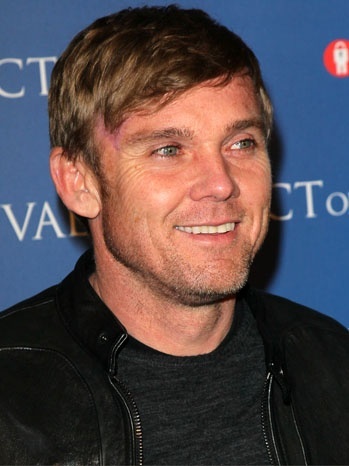 See the gallery for quotes by Ricky Schroder. You can to use those 6 images of quotes as a desktop wallpapers. I became a country music fan in 1990 when I moved to Colorado. It was my first exposure to it because I'm from a city. I've been a fan of country music ever since. I don't have an iPod. I mean, I have a couple. Doesn't everyone? But I don't use it. I need to because I go to the gym now, and I'm tired of listening to morning radio. I want some music! I do have a video iPod, but I don't use it either. I don't like doing movies that are meaningless or unrealistic. I like things with a lot of reality to them. I'm a pretty serious kind of person myself. Things affect me. I don't wilt easily, and a director can't either. He's the captain of the ship and he's got to be in total control. He also has to have respect for the people he's working for. From being an actor and being on a set my whole life, I'm very comfortable there. And I'm not afraid. I have a great family myself so I know if you don't have a family you've got nothing. Nothing else can take the place of the family - not girlfriends or a career. I have been a huge nerd to my kids. I haven't done the cool movies that they like. With '24,' I gained a lot of respect. '24' is now, it's hip, it's their generation. I have fond memories of my childhood. 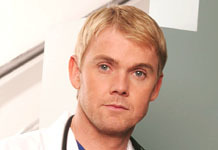 I spent five wonderful years on a popular TV show, but I didn't have a normal childhood. I was tutored for grades 4-11. I love horror. I love 'The Shining,' 'Friday the 13th,' 'Halloween,' all those kinds of things. I love zombies, especially '28 Days Later' and '28 Weeks Later,' where the zombies are going faster than the George Romero ones. I love being scared; there's something that's awesome about your heart rate going up like that. I really enjoy the writing process because I can do it from my house. I can create these characters and take them in the different directions that I want to take them. You have a lot of freedom as a writer. I think that if there's some innovative entrepreneurs out there who can help teach people how they can cost-effectively help themselves and their planet, I think everybody would be for it. That's going to be the challenge - figuring a way to get the marketplace and commerce to teach us consumers another way. I was never really comfortable doing comedy. Though it was good the first couple of years, there were problems, and it became a stifling experience. I was happy it ended. I was very outgoing, and a good-looking kid. I started doing all the catalogs. I made 60 commercials by the time I was 6. I must have been a natural, because I never took an acting lesson. I worked with creative people who were very demanding of me, and they helped me reach performances that I never could have gotten on my own without being pushed and having trust in them. And so I know the best way to get the best performance of an actor, and that's not to coddle them or to baby them. It's to help them; it's to push them. I'm really into sci-fi. The reason I'm an actor is because of 'Star Wars' - I saw that and I knew that's what I wanted to do. But most of the projects I'm offered as an actor are straightforward dramas, so I haven't really been given a chance to do that kind of role. If the Indian people want stories written about themselves, how they want them told, they are going to have to make them, they're going to have to finance them. If you let Hollywood do it, Hollywood is going to get it wrong most of the time. In the John Wayne movies, the Indians were savages that were trying to scalp you. That culture has really suffered because of the stereotype you see in those westerns. My career was full of struggles and dreams, disappointments and peaks and valleys. But there was no Twitter, no Facebook or TMZ. Young actors could make mistakes and not become the focus of tabloids. Nashville feels like a big little town to me. It's got lots of culture and lots of interesting things to do and lots of interesting people. At the same time, it feels very small and tight-knit and very close. Everyone feels like they know each other. There are always moments of despair when you get close to jobs and lose them at the last second. It feels like getting punched in the stomach. You feel like, 'Why do I do this?' Then you go to bed, get up the next day and forget about it. 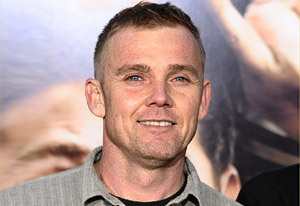 Much more quotes by Ricky Schroder below the page. There have been times I almost got a persecution complex. I felt like people wouldn't let me grow up. They always saw me as a smiling kid or goofy teenager, no matter how much I'd changed. There were always moments where I'd say, 'What else can I do with my life?' But when I was 30 years old and discovered I could write - I wrote 'Black Cloud' in six weeks - it opened up a whole new world for me. Westerns are fun. I wish more of them would be made. When you're out there on a set, carrying a gun, riding a horse, you kind of get lost in that make believe world. When I turned 18, my agent was like, 'You should change from Ricky to Rick.' So I thought it was a good idea. Rick never really fit. I tried for 18 years to make it work, and no one wanted to call me Rick. It should always have been Ricky. That's what it always should have been, so I'm going back to it. There are going to be peaks and valleys in everything - in your marriage, in your job, in your life. So just enjoy the peaks and ride out the valleys. Just try not to do anything too rash. A horrible script 99 percent of the time means a horrible movie. But if you start with a good script, odds are you're going to have a good movie. I always knew I was going to be a family man. 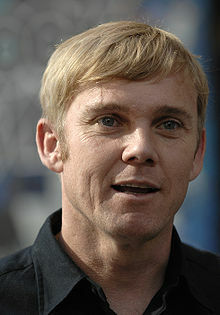 I did a lot of gasoline commercials - Hess, Texaco. I was part of the family in the car, the little brat in the back. I don't know why it is, but sometimes I feel like I'm 60. It's like I've been around for a long time. I felt that way even when I was 8. I feel cheesy when I see 'Silver Spoons.' Some of it was funny, but some of it was just cheese! My kids love it, but I look at it and cringe. I have a career I am proud of as a child actor. I'm not running away from it or embarassed with anything I did. I met the Queen, the Pope, and we went all over Europe and Asia. I just wish I was older when I did all this. Then I could appreciate it more. I think one of the things that saved me is that I never put all my eggs in one basket. I weren't an actor, I'd be a wildlife biologist or forest ranger. I'm absolutely an optimist. It's the only way to get through life. I've found joy, peace and perspective. Those are very good things to have. I've had a very fortunate career and I've loved every moment of it. It's difficult being a child actor. I don't think everything beautiful has to be exploited. Some things can be beautiful and left beautiful. Trying to understand women is a tall order period. You always hear about people going through miscarriages and you never understand what one is like unless you go through it. Finding the discipline, the motivation, the focus, the passion to sit down in front of a blank piece of paper or a blank computer screen every day and then to make it come alive with characters and with plot is incredibly exciting and at the same time terrifying and frustrating, and sometimes it comes easy and sometimes it comes really hard. I always had a separate life than just my work. I built my own family. I have my own hobbies and interests. I have a ranch with livestock and horses. I didn't always get my self-esteem and identity from acting. I never worked unless I wanted to. I never did anything just to do it, just for the paycheck. I always did things that I liked. I always thought I had a problem socially, because I was pulled out of school so early. I had a tough time talking to other kids and being comfortable with them.